Skin is affected by weather, climate and sun exposure as well as aging, diet, puberty, hormone imbalance, dead cell and oil buildup, bacteria, inflammation, auto-immune disorders and many other things. Finding the cause of an individual’s particular skin condition can take some work and the practitioners at Groton Wellness are ready to work in partnership with you. We use the term ‘skincare’ to describe professional facial treatments and use of personal home care products. There are many types of treatments designed to address the variety of needs your skin may have. Our esthetics at Groton Wellness Center are performed by licensed, certified Estheticians. 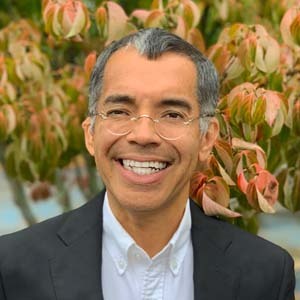 Dr. Henri Balaguera, MD (Functional Medicine Educated) works with people to find and heal the root cause of skin conditions through diet, natural hormone balancing, medical grade supplements and more. We approach skin in a whole body way. All of our Medical and Spa Providers offer a free 15-minute phone consultation. Home care product recommendations enhance professional treatment and maintain optimal skin health. It’s important to remember and appreciate that our skin is not just an outside wrapper, it’s the body’s largest organ! It is the front line of your total health and well-being. And we treat it that way. There are many stressors that impact our skin and how we feel about it. Lack of quality sleep, worry, anxiety, environmental assaults, inactivity, and a wide variety of imbalances, to name a few. It can also be said that if we don’t like what we see when we look in the mirror that feeling can actually add to stress and its negative impact! Our Day Spa at Groton Wellness Center offers an authentic facial experience providing a healthy option to interrupt the cycle of stress and encourage your whole being towards greater health. Expert estheticians know how to create an emollient and soothing bath just for the skin. With natural, non-toxic products, we provide your skin a moisturizing, cleansing and refreshing chance to clean out, tone up, and relax. 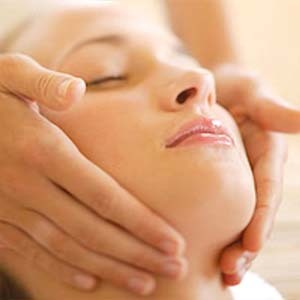 Using acupressure points, we improve total facial circulation. In a step-by-step procedure to open pores and hydrate the skin, dirt and dead skin is removed. Skin becomes renewed by sloughing old layers, allowing fresh, regenerated cells to build from below. Many of our advanced facials focus on lymph stimulation. Healthy lymph relies on movement throughout the body to keep the immune system responsive. It’s especially important to maintain fluid balance after surgical procedures or anesthetic influence. Lymph is responsible for circulating nutrients and filtering foreign matter such as bacteria, toxins, viruses and other cellular debris and metabolic waste. Healthy lymphocytes prevent illness due to their filtering mechanisms. It’s easy to see why encouraging healthy lymphatic flow is very beneficial. All of our Dr. Hauschka treatments include lymph stimulation for advanced holistic skincare. If you’re not sure which facial is right for you, we invite you to schedule a consultation facial as an introduction to healthy skincare options best suited to you. Because your skin presents changing needs, we recommend seasonal treatments to ensure you’re always giving your skin the care it requires. As the body’s largest organ, our skin absorbs ingredients directly into the blood stream every time we apply topical cosmetics or skincare preparations. Here, we use clean, natural products from Dr. Hauschka.